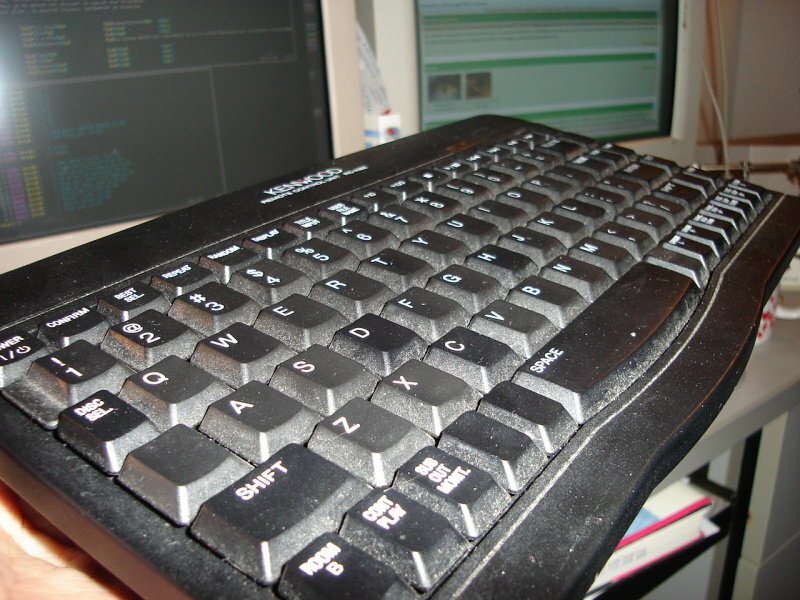 A few years ago, someone gave me a small wireless infra-red keyboard, part no. 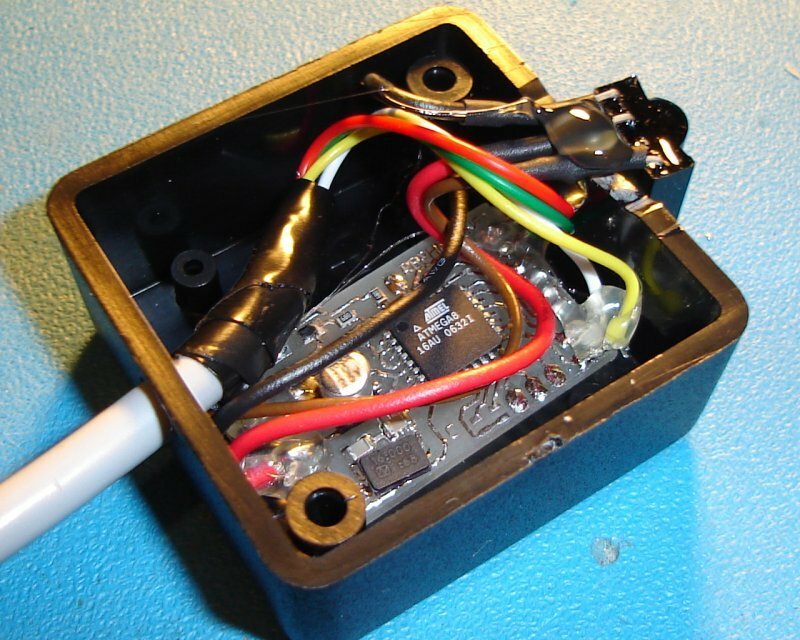 RC-KB2, designed to be used with a Kenwood audio system. As soon as I saw it, I wanted to discover it's transmission format. Why? 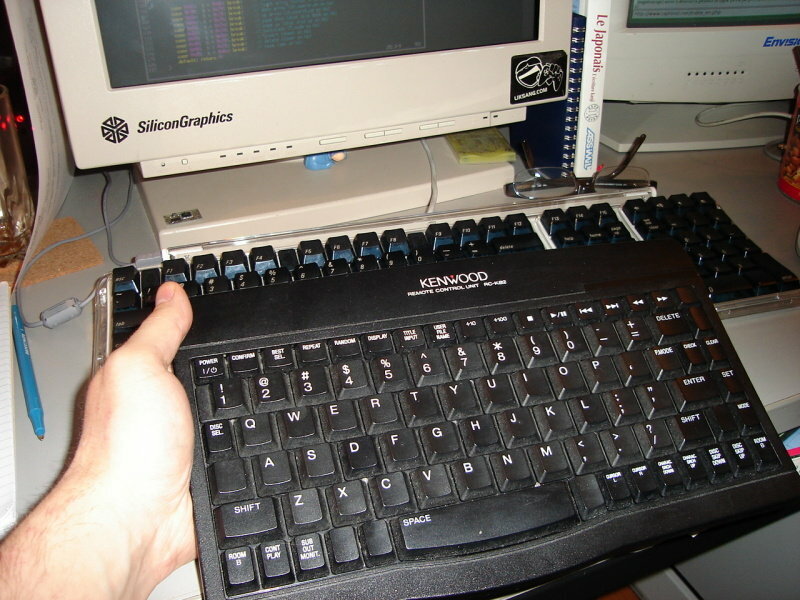 Because I would then be able to build a small receiver which would allow me to use this keyboard on a PC with a PS/2 port. Two years later, I finally found (or took?) the time to do it. This page's purpose is to document the project. Maybe someone else would like to use a keboard like this one with their PC? 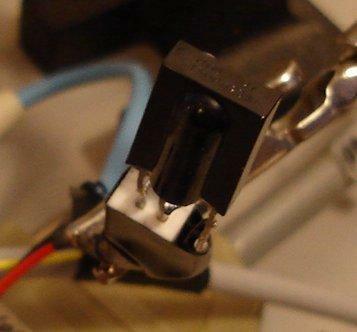 In any case, the receiving part of the code could be rewritten for other keyboards or even regular infra-red remotes. 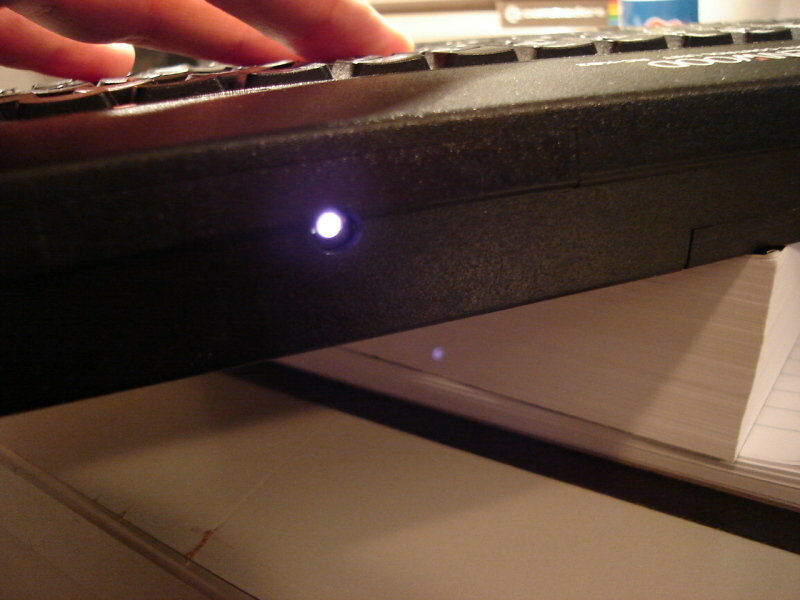 When the keyboard emits infra-red, it is not continuously. In fact, it modulates the infra-reds at a frequency between 35 and 38 Khz. I did not measure the exact frequency, but I assume it is in the 35-38 khz range because an infra-red receiver salvaged from a VHS Vcr receives the signal correctly at a pretty good distance. 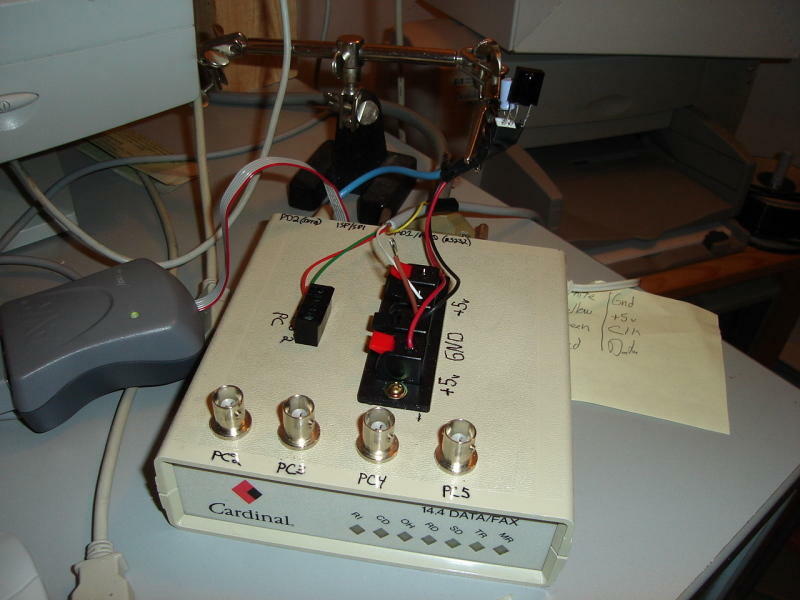 After looking at the receiver's output with a digital oscilloscope, I understood how the data was transmitted. As my infra-red receiver had an active low output, a low level in the following diagrams indicates that an infrared wave was present. Right after the attention signal, the keyboard sends the data bits. The time elapsed between active pulses (560us) varies depending on the bit value being transmitted (1 or 0). A long time (approx. 1640us) represents a 1 and a short time (approx. 560us) represents a 0. First Peripheral Identification. Constant value. Fourth Bitwise NOT of the keycode low byte. 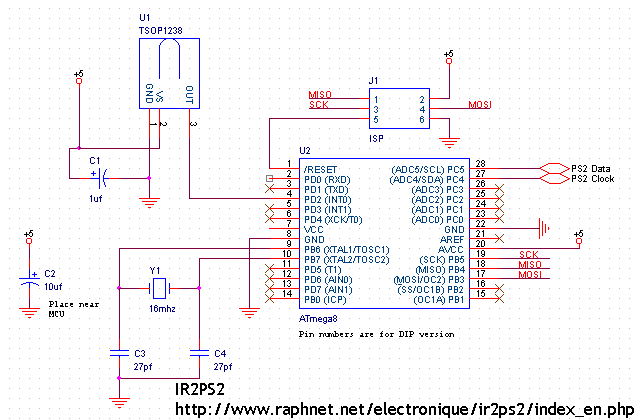 Adding the third and fourth bytes will always result in 255. Useful for error detection. I compiled a list of the codes emitted by most keys on the keyboard. The [shift] keys cannot be paired with all keys. The [Room B] keys act as a kind of [shift] keys but they cannot be paired with the same keys. 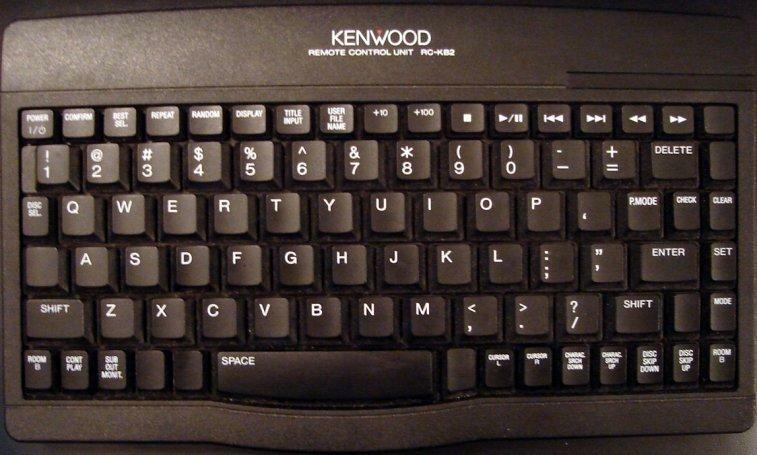 Unlabeled keys on the keyboard do not generate events. Room B keys may be combined with a limited set of keys, typically application specific keys such as: Confirm, Repeat, Random, Display, +10, +100, les chiffres 0-9, set, disc skip down, disc skip up and the stop/play/prev/next/rew/ff keys. After the CONT PLAY key has been pressed, the next key I send to the PC is preceeded by the CTRL pressed event and followed by a CTRL released event. After the Sub Out Monit. key has been pressed, the next key I send to the PC is preceeded by the ALT pressed event and followed by a ALT released event. It is possible to press CONT PLAY followed by Sub Out Monit. to obtain a CTRL + ALT + somekey event. Here is a table which describes which keyboard keys generate which standard PC keyboard key events. Obvious keys, such as numbers, letters and ponctuation are omitted from this table. Of course, some keys are missing. But I dont plan to use this keyboard for programming or playing games so it should be fine. Anyway, if I ever need other keys, I'll be able to implement them. Delete Backspace The delete key is located where the backspace key normally is. Cursor L Left arrow Absolutely necessary! Cont Play Ctrl + ???? Magic key to send the next key between CTRL down and CTRL up events. Sub Out Monit. Alt + ???? Matic key to send the next key between ALT down and ALT up events. 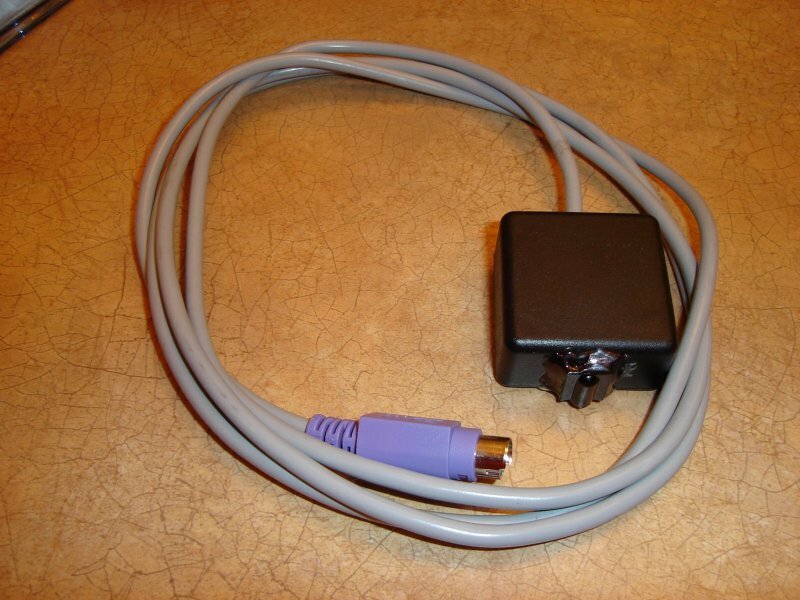 Note: The whole circuit is powered from the PS/2 port. The source code is available under the terms of the GPL license. Consult the COPYING file inside the tarball for more information.